This year’s World Economic Forum is notable for a paucity of leaders like Trump, May and Macron. Rubbing shoulders with elites in the Alps, as they did last year, will only exacerbate domestic woes. But they’re hardly great models for governance. The shindig may be better for it. 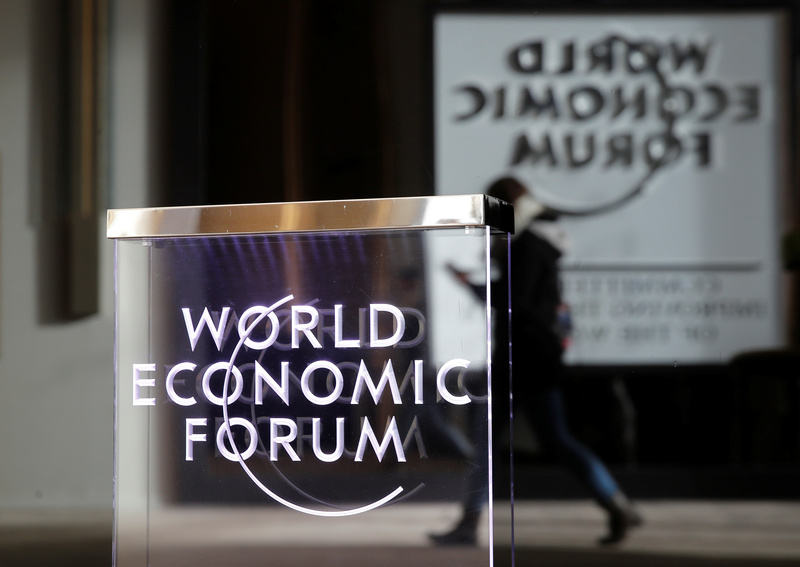 A person passes by a World Economic Forum logo in Davos, Switzerland, January 20, 2019. The World Economic Forum gets underway on Jan. 22 in Davos, Switzerland with leaders of countries accounting for a quarter of the world’s population, but without heads of state from the United States, UK, Canada, France and India who attended last year. Due to the partial U.S. government shutdown, President Donald Trump cancelled his trip to Davos as he grapples with Democrats in Congress over funding for a wall on the border with Mexico that has led to a partial shutdown of the government. Trump also grounded a delegation of U.S. officials. Davos veterans Japan’s Shinzo Abe and Germany’s Angela Merkel are expected to attend. Prime Minister Giuseppe Conte will represent Italy for the first time at the forum.